The Methodical Accelerator Design code (MAD) is a single-particle dynamics code which is extensively used for the design and optimization of systems of electromagnetic fields for beam lines and storage rings, most typically those used in high-energy applications. After the 8-th version of MAD, the next version – known as “X” – saw a re-vamping of the major code; since that time the code has been known as MAD-X. 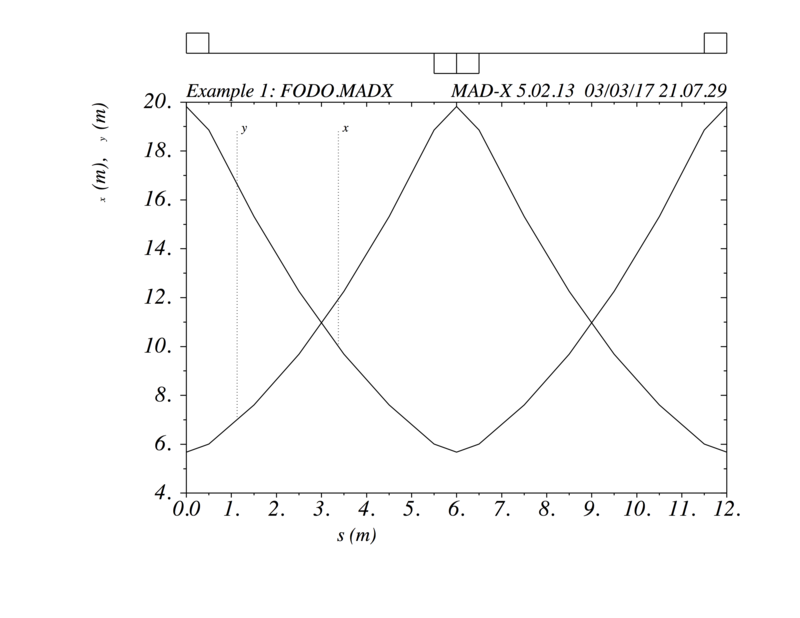 While MAD-X is not the best code for every job, it is a must for anyone that may have the need for doing basic layout, design, and optimization of optics and for doing basic particle tracking and sensitivity analyses of beam lines, synchrotrons, storage rings, etc, with its superior fitting and optimization routines. MAD or MAD-X has been used for the design and analysis of almost all major accelerators and beam lines at CERN, Fermilab, numerous light sources and many other major facilities since its introduction in the late 1980’s. Below we describe briefly where to obtain and download MAD-X to your computer, how to run the code, and give a brief example of a typical MAD calculation. The user should download the pdf MAD-X Users’ Guide from the Documentation tab on the MAD-X web page. This web page also contains example input files as well as tutorials and a primer for learning the basics of the MAD envrionment. 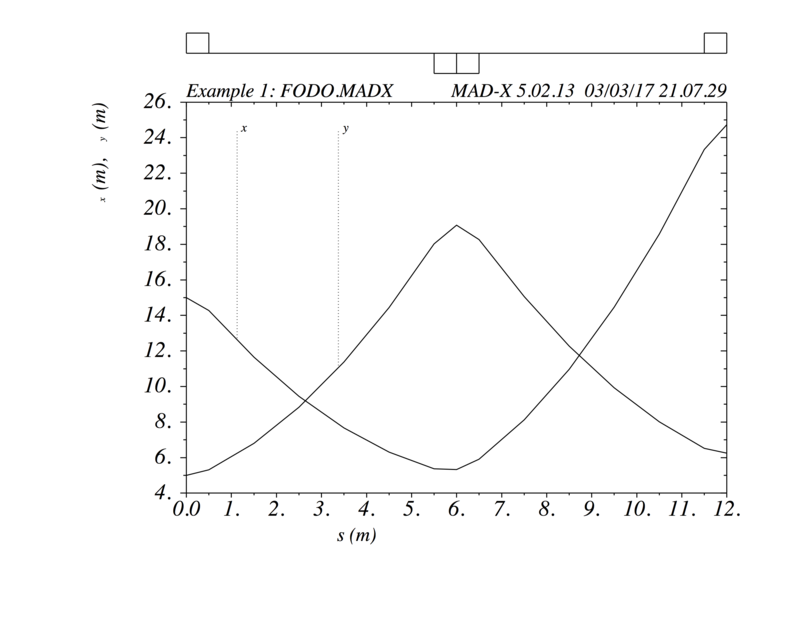 @ TITLE            %20s "Example 1: FODO.MADX"
@ ORIGIN           %17s "5.02.13 Darwin 64"
Naturally, MAD-X provides many options for adjusting plots, creating custom tables of output, performing particle tracking, and much more.